Don&apos;t let this adorable lake access home get away! Move in ready, like new, has 3BR/3.5BA and 2 finished bonus sleeping quarters on lower level. This home has been updated throughout! Cathedral ceiling in great room with a window wall for great water views! Updated kitchen with stainless appliances. Master bedroom suite on main level, updated master bath with heated tile floor. Upper level has two guests bedrooms with full bath. The lower level is completely finished with 2 sleeping areas with closets and full bath. 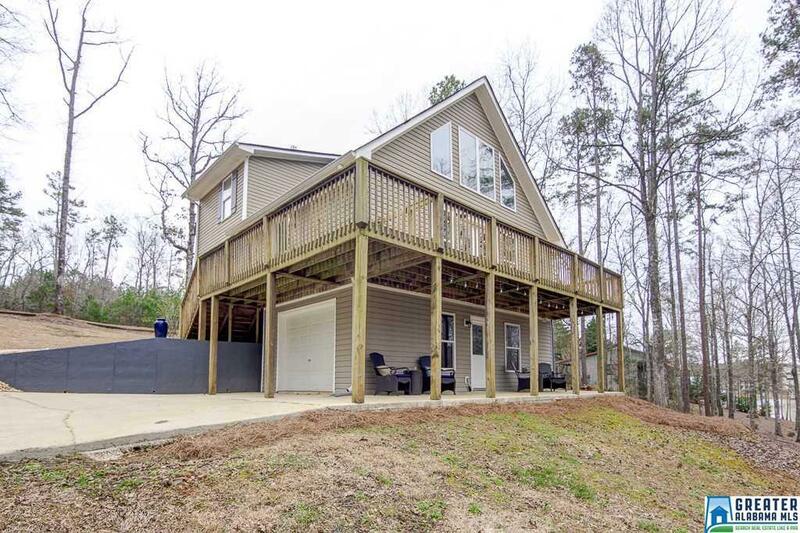 Walk out to a covered patio to enjoy peaceful days on Lake Wedowee! One car garage with 9ft x 7ft garage door with opener. Beautifully landscaped yard. Concrete driveway. Paved roads. This is a great neighborhood with community boat ramp!